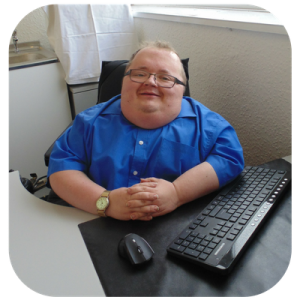 Accessible News is the non-profit arm of Accessible Wales, a disability consultancy company established by Richard Jones. Growing up founder Richard Jones identified a need for a one-stop-shop, an information resource for people who had queries on anything related to disability. An organisation that could not only help someone with a query but signpost them to other agencies who may be able to offer more help, and guide them through their journey. In 2008 Accessible News was launched, the initial aim of the organisation was the offer news about disability and produced a quarterly newsletter on local and national issues, supported by local businesses. The other aim of the website was to host a database of what was accessible in the Rhondda Cynon Taff area, a target which has yet to be achieved. This is something that is still a target for the Accessible News team and a project that will be taken up in the future. Accessible News carried out a year of fundraising during 2012 raising money for the British Lung Foundation and the Brittle Bone Society, two charities close to the heart of both founder Richard Jones and the volunteers. Since then Accessible News has gone on to establish strong campaigning credentials running a successful campaign to help residents in Robertstown get access to Tesco by getting the land adjacent to Tudor Terrace tarmacked that was previously inaccessible. The latest campaign Accessible News is running is a Considerate Parking Campaign which is run in conjunction with South Wales Police and Rhondda Cynon Taff Disability Forum. The latest service offered by Accessible News is Empower Surgeries which launched on Wednesday 6th September 2017 and runs the first Wednesday of every month from Hirwaun Village Hall 11am – 1pm. Volunteers are available to help support clients with a variety of queries ranging from benefit applications to housing and social care issues. These surgeries have been made possible by generous donations from local businesses, big thanks to Aberdare Ford , D Hill and Son Building and Landscaping , Penaluna’s Famous Fish and Chips , Welsh Hills Bakery . Thank you for visiting our website, have a look around. If you have any queries please get in touch via our contact page. We’re here to help you, if there’s anything you want to know please ask. Also if you’re feeling social come and talk to us on facebook and twitter . Accessible News’ Mission is to campaign and fight against injustices relating to disability, discrimination and inaccessibility and help empower society to improve equality.